When Emily’s father dies of consumption (what is now called tuberculosis), she is orphaned. She is sent to live at New Moon Farm to live with her aunts, Elizabeth and Laura Murray (typical literary spinsters) and cousin Jimmy. There she makes friends with Ilse, Perry, and Teddy, each of whom has a dream based on their particular gift. Emily wishes passionately to be a writer; Ilse wants to be a speaker, Perry seems destined to be a politician, and Teddy is a talented artist. Emily has a conflict with her Aunt Elizabeth, who’s not on board with her desire to write. Each of her friends is also having an issue with a parent. Emily finds an ally in an elderly schoolteacher, who encourages her writing while being a helpful and honest critic. 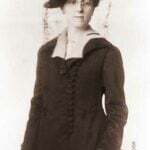 In terms of personality, Maud Montgomery considered Emily more of a reflection of herself and her own personality than Anne. Like Maude herself, Emily was a loyal and dedicated friend, loved learning, and appreciated nature. Emily of New Moon was followed by Emily Climbs (1925) and Emily’s Quest (1927). 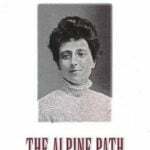 The books follow her through her school years into adulthood when she becomes a successful author. 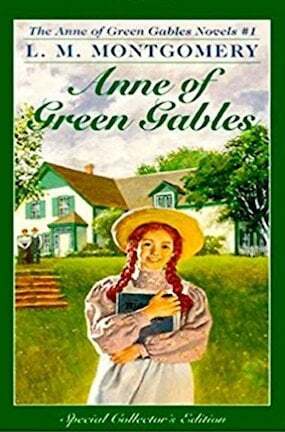 Though the Emily series wasn’t as wildly successful as the Anne of Green Gables books, it has had its generations of devoted readers. There’s no greater proof of this than the fact that the books have never been out of print since they were first published! The series of books have also been translated into a number of languages. 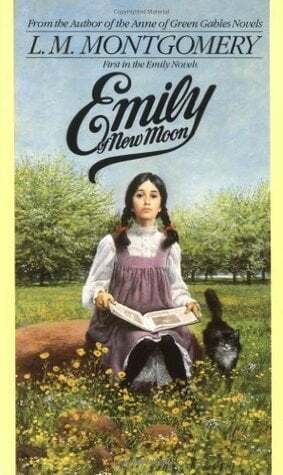 Unlike the Anne series, the Emily books haven’t been the subject of numerous film or TV adaptations, though there was a Canadian televised series that aired on CBC from 1998 to 2000. The following 1923 review is typical of the reception to the book — generally favorable, not as wildly so, but inviting comparisons with the more sober, black-haired Emily to her predecessor, Anne. 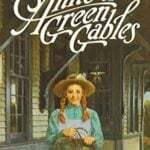 Maud Montgomery’s tales gently weave in truths about the limited choices for girls and women of the time. 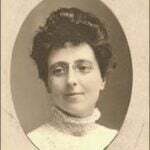 Both the Anne and Emily series display Maud Montgomery’s gift for storytelling and sly humor. 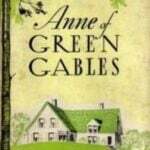 Legions of readers have been devoted to Anne, while others prefer the more contained Emily, who is grounded in her passionate ambition to become a writer. The Emily trilogy shows her in the act of writing, living, and breathing writing, and working to improve her craft. That single-minded devotion to the art of writing is a rarity in children’s literature. From the original review of Emily of New Moon by L.M. Montgomery in The Brooklyn Daily Eagle, September, 1923: Anne of Green Gables is still queen of the long line of orphans who have cast their lot with spinsters, built air castles, and in the end won the affection of their frigid benefactors. Emily of New Moon is almost as delightful a character. And when the author leaves her in the early teens one hopes for another Emily book, just as a few years ago popular demand made Anne grow up. There isn’t a great deal of originality in Emily of New Moon. Instead of the little red-haired heroine, we have a black-haired one, and in place of amusing incident, where Anne dyed her hated locks green, we have Emily hacking away with the scissors in order to gratify a yearning for bangs. This book is the old “Once upon a time there was a little girl” sort of story, but the formula appears to have worn well. When the story opens, Emily lives with her father in a little house in the country. The father dies and the child is left to face the proud Murrays, her mother’s people. These relatives never forgave Juliet Murray for marrying a poor newspaperman. They unbend at funerals, though, and arrive at Emily’s home in their best black satins. 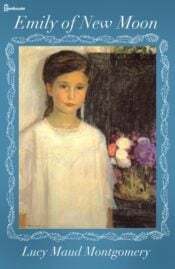 No one is anxious for Emily to live with them, so they draw lots for the little girl, and fate sends her to live at New Moon in Blair Water on Prince Edward Island with her Aunt Elizabeth, Aunt Laura, and Cousin Jimmy. Through loneliness and a natural urge to write, Emily puts all her thoughts into letters to her dead father, which she scribbles on old bills and hides in the garret. In this diary, particularly, the author displays her keen knowledge of a child’s mind. While many of the letters are wistful, showing the young person’s struggle to comprehend grownups, through them all are flashes of humor, and amusing misspellings. 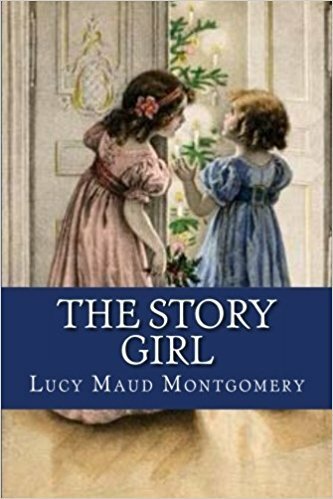 Emily is confident that she is a genius, and the author brings the story to a close with a friendly school teacher giving the young girl a helping hand toward her goal of becoming a famous author.